How does an American Wirehair look? 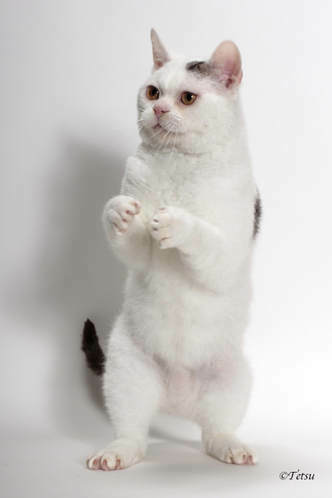 American Wirehair is the frizzy haired version of the American Shorthair. They have the same strong balanced body type that is "just right" in all aspects. 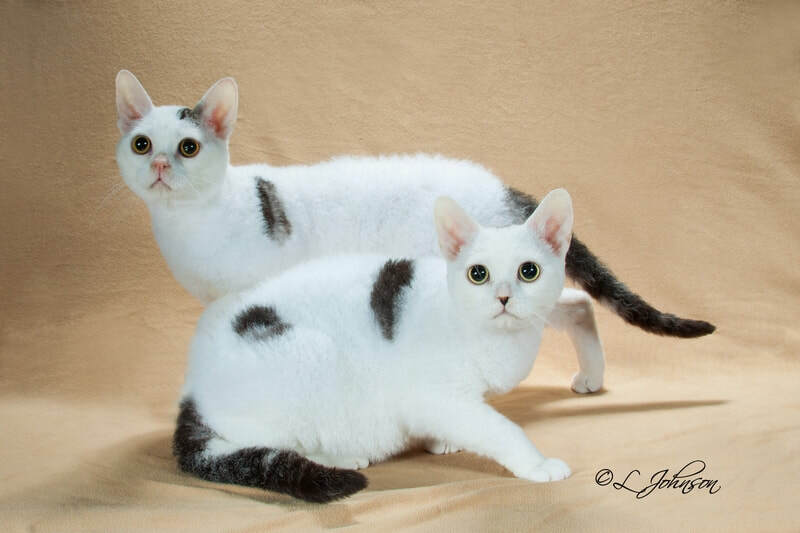 American Wirehair come in many striking colors and we have silvers, stripes, spots and multicolors. What is the personality of an American Wirehair? American Wirehairs are the class clowns of our cats. They love people and seem to love to entertain by doing goofy things. Although they are ready to play at any time, they are just as ready to sit in your lap and purr. They are also extremely intelligent and can be taught to do a variety of "tricks"! Do American Wirehairs require special care or grooming? American Wirehairs are virtually maintenance free. There is no need to comb or brush their wiry coats & in fact it may damage the coat to do so. American Wirehair evolved from a natural mutation in a litter of kittens born in New York in 1966. The breed was first recognized by CFA in 1967 and accepted for competition in 1978.